Menopause is the reverse puberty of women, it’s horrible, uncomfortable and messes your mood like a hundred pregnancies in one! It’s the time when the body no longer produces the much needed estrogen which in turn causes a haywire in the chemical in your body. But, the big bad red monster that every menopausal women face are hot flashes. It’s the most uncomfortable symptom of menopause and could drive any woman nuts! So is there a way to naturally manage your hot flashes? Hot flashes are the most common symptom of menopause, it’s a quick and sudden feeling of heat, you can also experience a flushed red face and sweating. This is caused by the sudden changes in the levels of estrogen in the body brought about by menopause. It happens when the blood vessels that are near the surface of the skin dilate to cool. It also causes palpitation, sudden chills and night sweating that could cause insomnia. Hot Flashes are inconvenient, uncomfortable and could drive you insane with the sleepless nights and sudden feeling of being boiled alive! Luckily, you don’t need to go into hormone replacement therapy right away, there are still natural and safe ways that you can keep hot flushes at bay. In some cases, stress is the one that aggregates the hot flashes, and stress reducing methods actually help lessen the menopausal symptoms in a woman. Try slow breathing, meditating and other ways to reduce your stress and relax yourself. One helpful tip in order to manage hot flashes is that as soon as you feel one coming, take some few long, slow and deep breaths. Another helpful tip is to eat slowly and without any distraction, which means no TV or cell phone as you eat. Spend a few moments once a day to just enjoy the peace and quiet to help you reduce your stress. 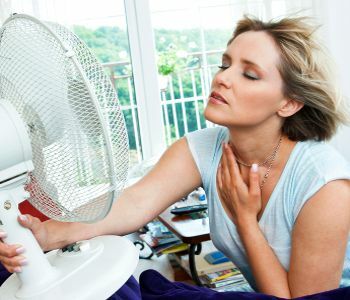 Try to avoid the foods that aggravate the hot flashes. 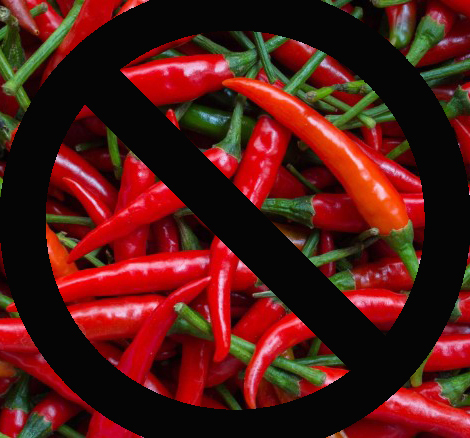 Avoid foods that are hot and spicy and also avoid caffeine and alcohol. Take note of the foods and drinks that seem to make the symptoms worst and try to completely avoid them. Cold drinks may also help ease hot flashes. The main target when it comes to dressing if you experiencing menopause is to dress in cool, light layers. Dress as you would in summer months, so choose clothes that are light with breezier threads to help cool yourself and avoid hot flashes. You can also wear layers during the day so you can just keep on removing the layers until you feel comfortable enough. You can also try carrying a hand held fan to add an extra breeze to ease your pain. The reason why there are menopausal symptoms, is because when menopause hits, the body will no longer produce the estrogen. Estrogen is the one that takes care of your sexual organs and overall sexual health. 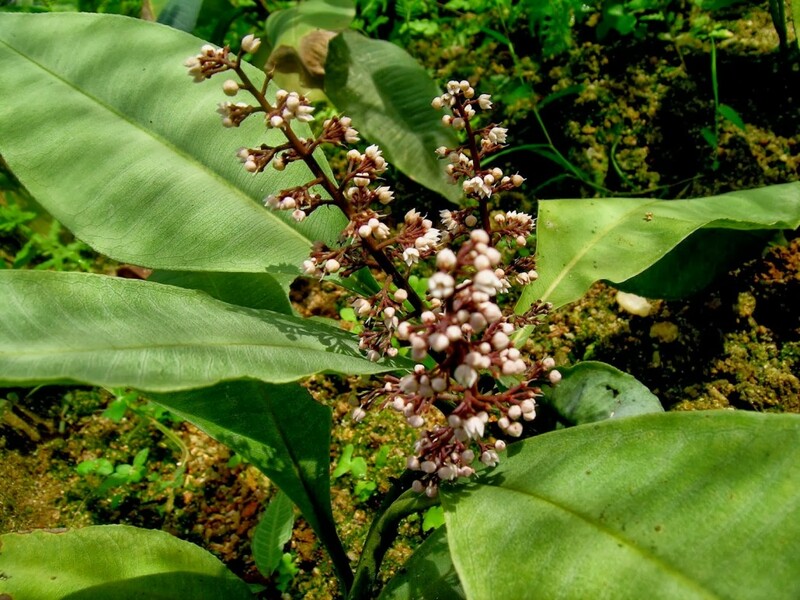 Without it, there will be vaginal loosening, sagging of the breasts and decrease in libido and lubrication. Due to the haywire in the hormones and chemicals in the body during menopause, it could cause a disturbance in the temperature control, which means sudden spikes and drops in the temperature in the body, hence, the hot flashes. The best way to treat menopausal symptoms is to take estrogen, but synthetic hormones could be dangerous for your health. Luckily, you can still take phytoestrogen, which are the safe estrogen that are made by plants. What phytoestrogen does is that it gives the body the estrogen that it needs to take care of your sexual health and helps you during the menopausal symptoms. Not all phytoestrogen are the same, some, like soy does not have enough phytoestrogen to help you. Kacip Fatimah has been used for ages in order to help women recover after giving birth and help women ease the symptoms of menopause, it’s all natural and safe, so it has no side effects at all. You can get some high quality phytoestrogen from Vagifirm.com. Menopause is a period when your body no longer produces estrogen. It is often accompanied by hot flashes, loss of libido, vaginal loosening and other menopausal symptoms. Luckily, you can still Kacip Fatimah which contains high quality phytoestrogen to help you naturally manage your hot flashes and keep menopausal symptoms at bay. September 9, 2016 /by Dr. Elizabeth M.